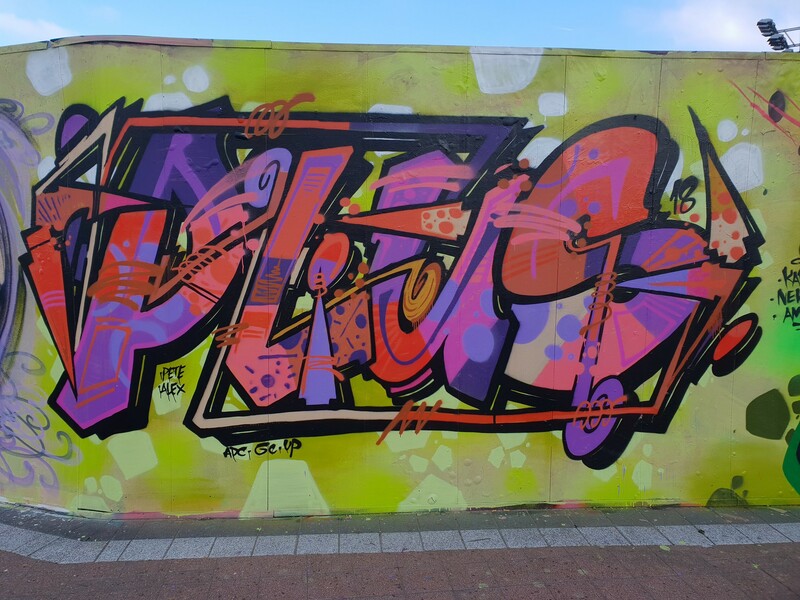 Pluzbrut is an artist from Barreiro in Portugal who has been based in Cardiff since 2015. 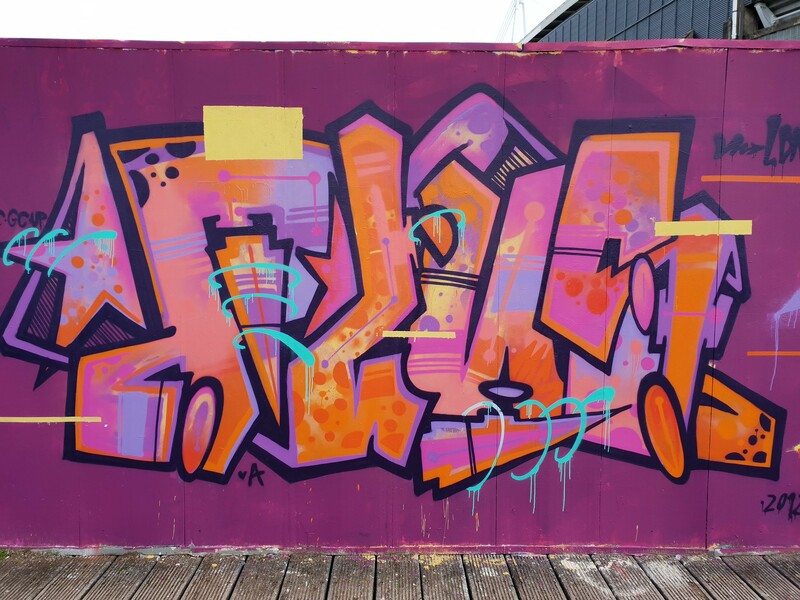 He originally focused on art with a great attraction to wildstyle letters which has since transformed into several illustration styles and beyond. 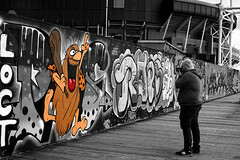 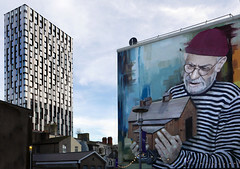 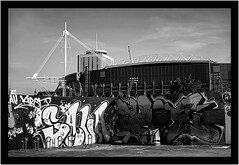 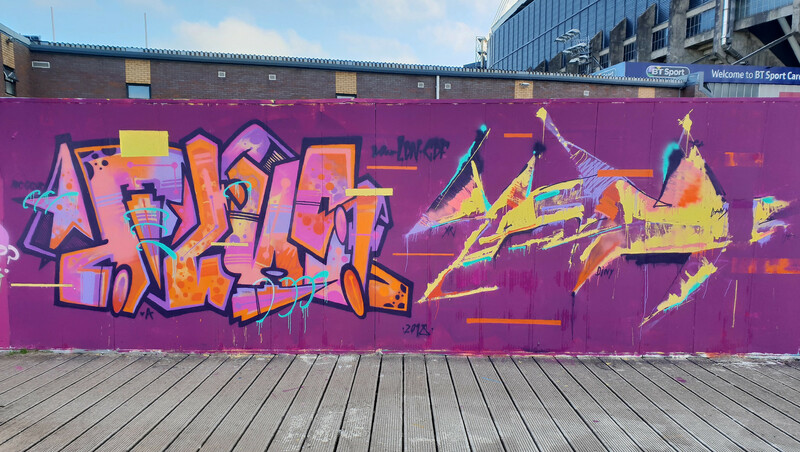 His work has graced the walls of Cardiff for many years now with the latest offerings dotted along the whole length of the Millennium Walkway in the city centre. 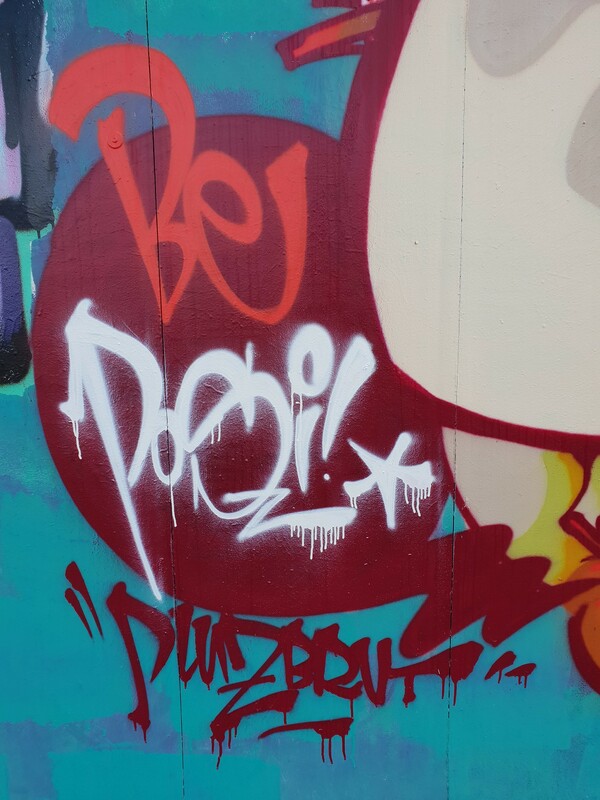 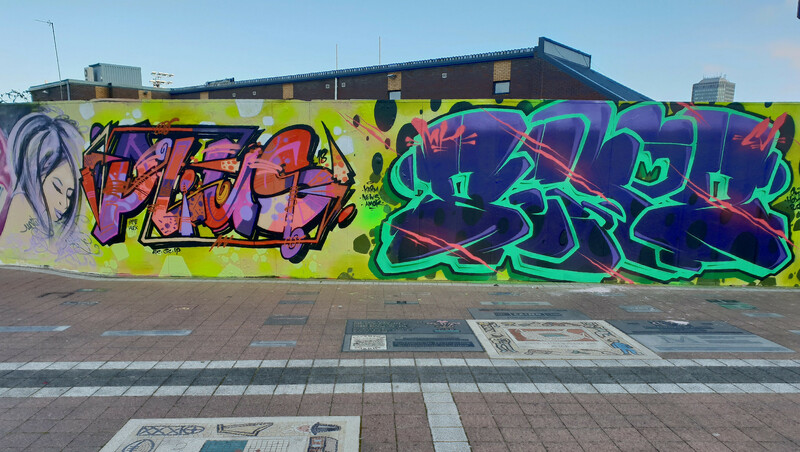 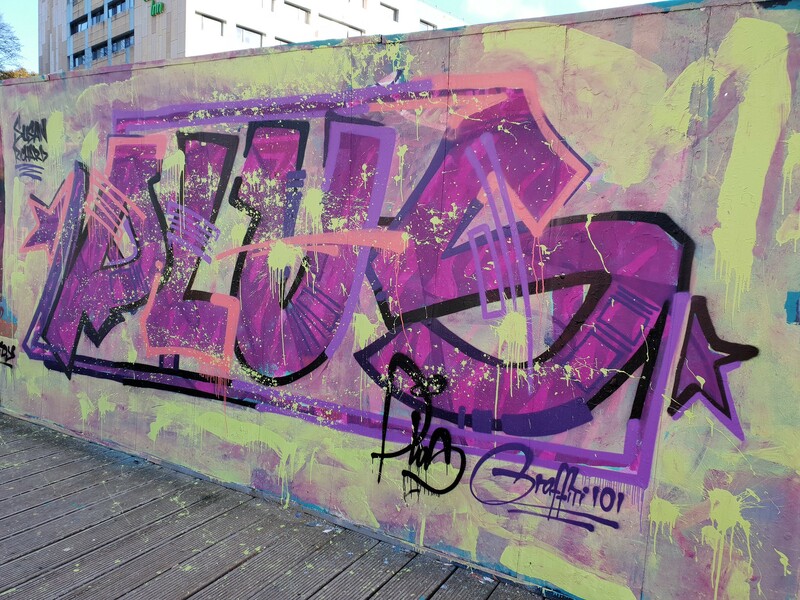 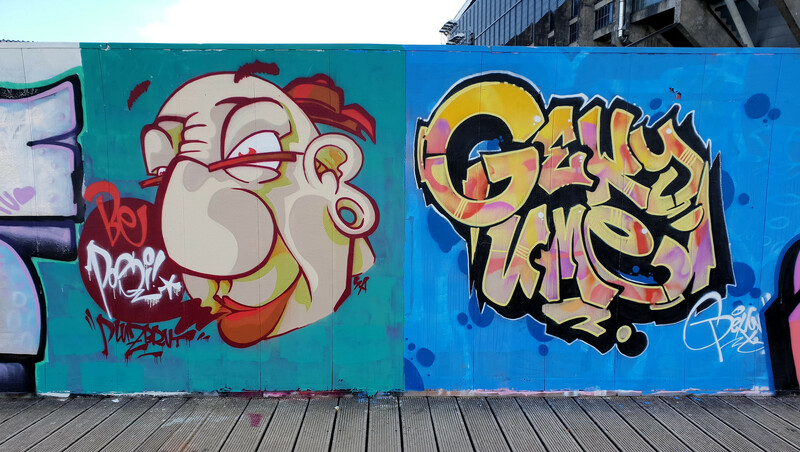 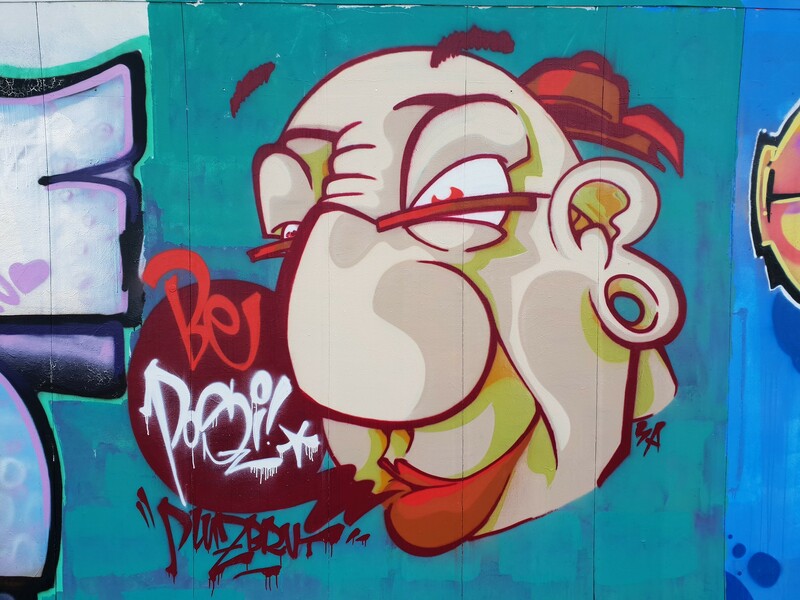 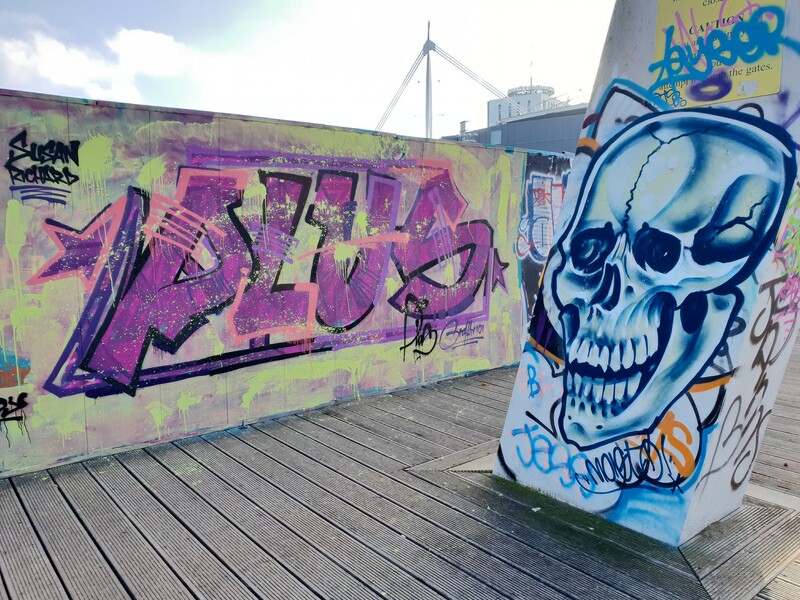 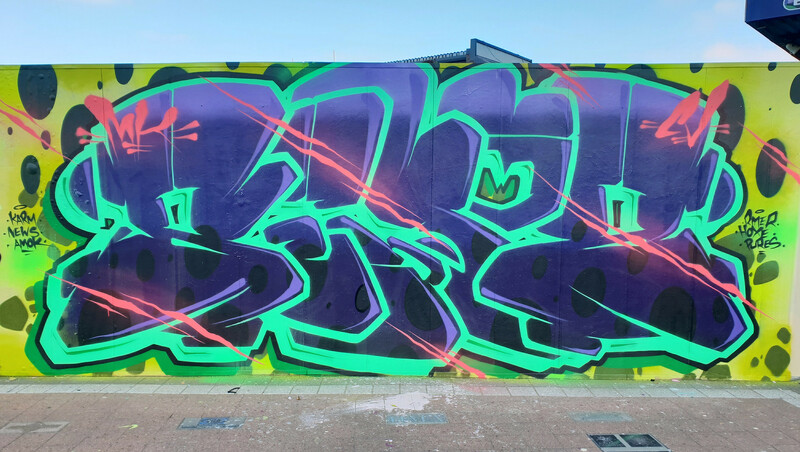 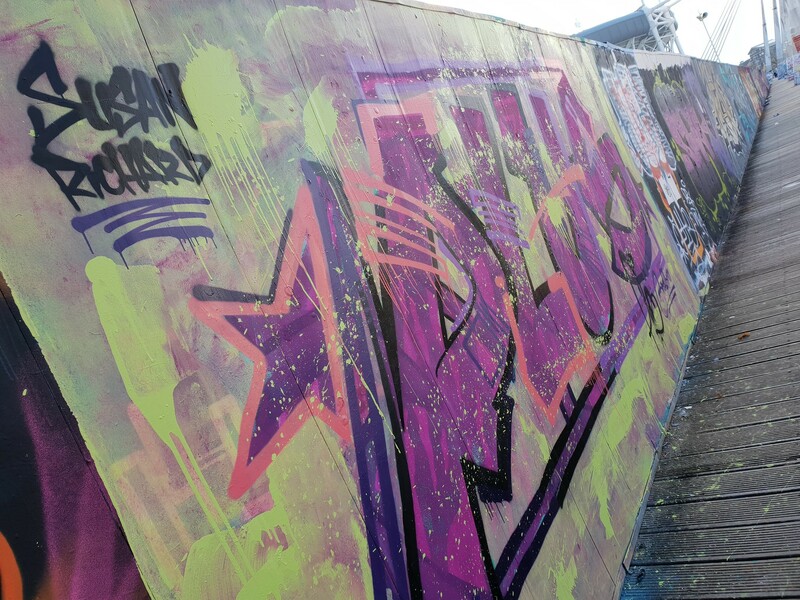 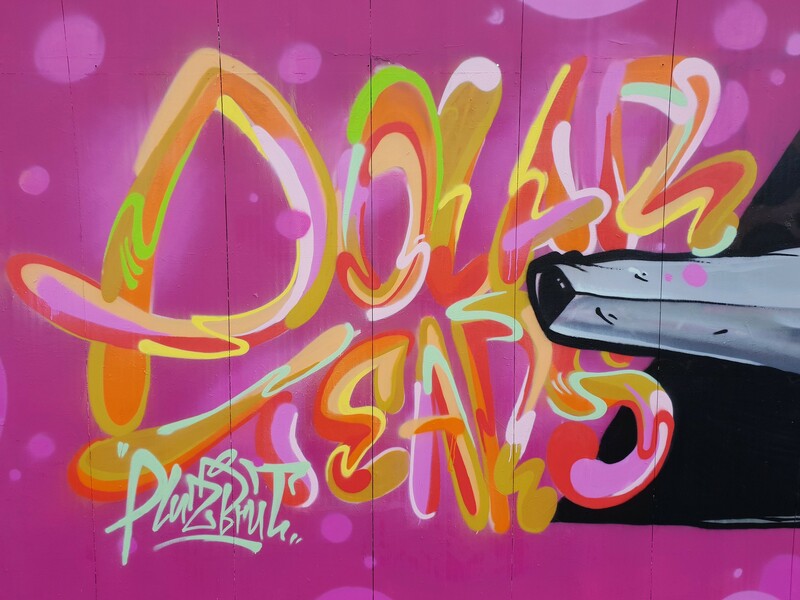 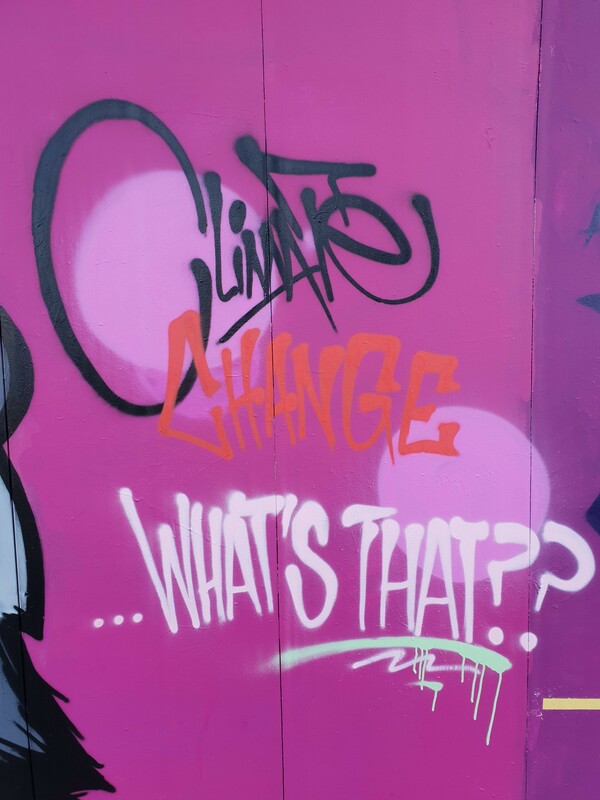 So it was time for one last painting spree before he left Cardiff to spend some time back in Portugal – Pluzbrut made sure that he definitely left his mark on the city with lots of his work appearing throughout the lengthy walkway. 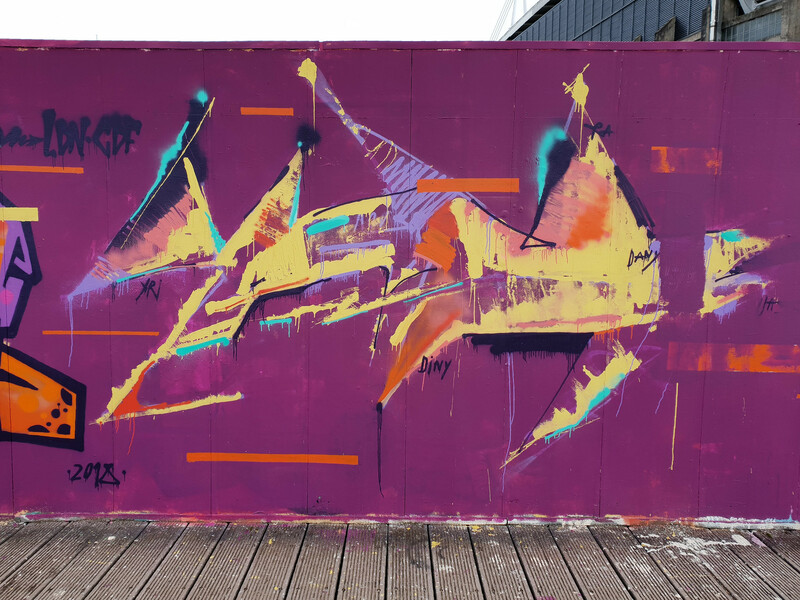 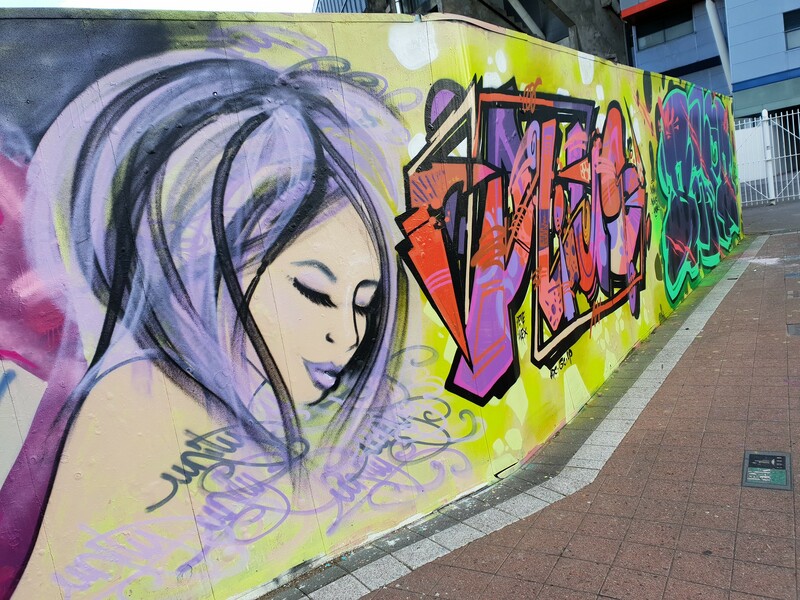 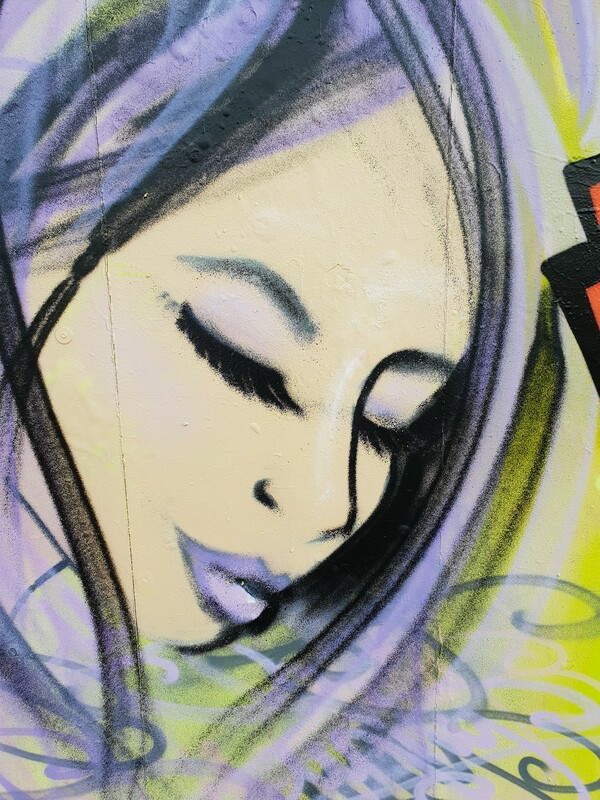 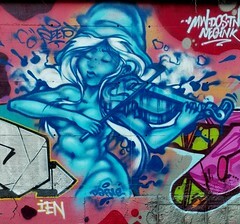 At the start of November 2018 he took to the wall and painted the above piece along with Unity and Somes. 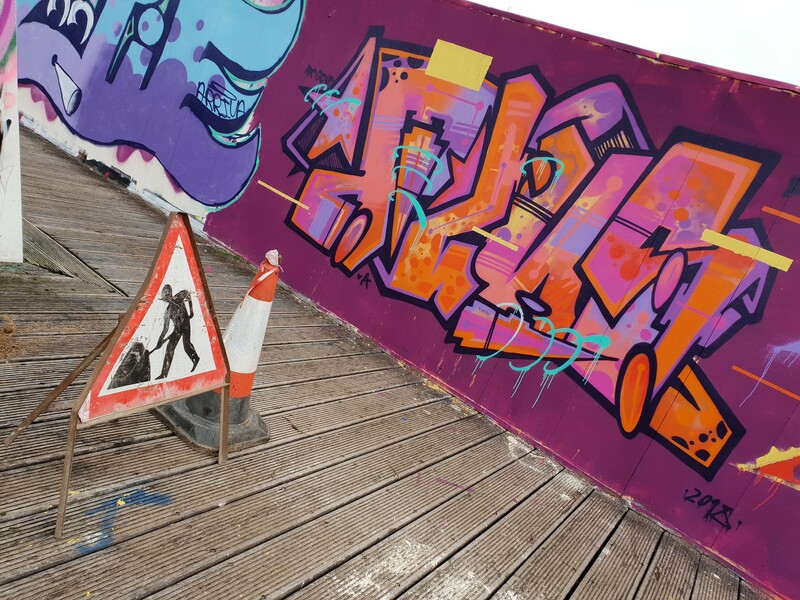 Moving further along the walkway and even more work from the artist including the start of a very pink section! 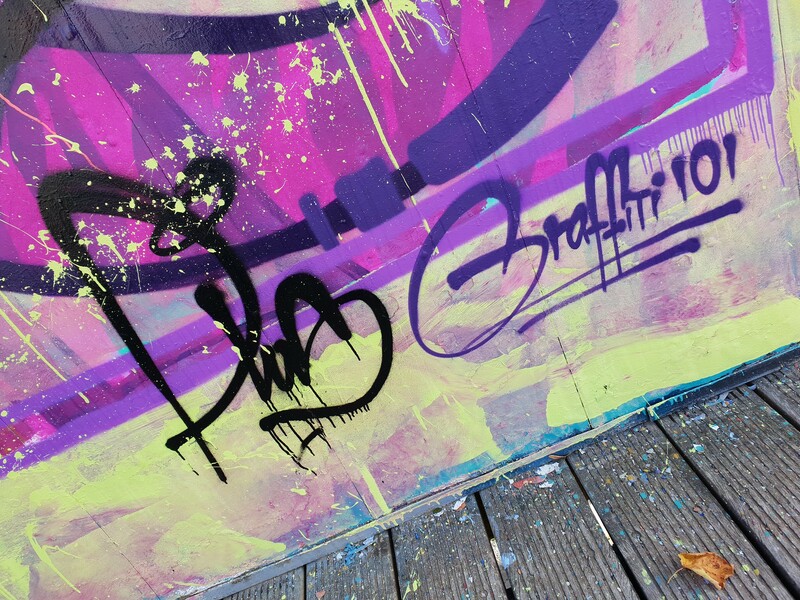 The abstract tag to the left is definitely the work of Pluzbrut with the looser paint splatters to the right from artist and friend Yah. 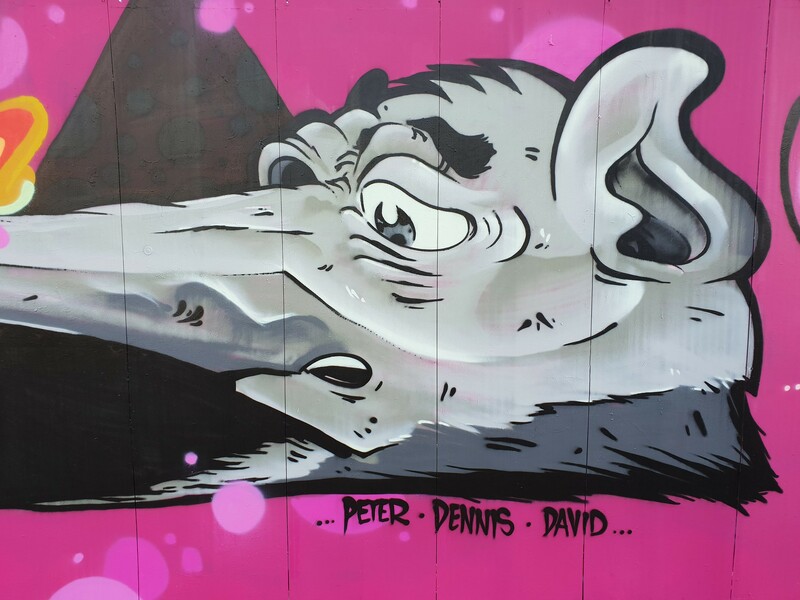 His work was apparent along the whole length of the walkway with the pink theme continuing and a polar creature now popping up! 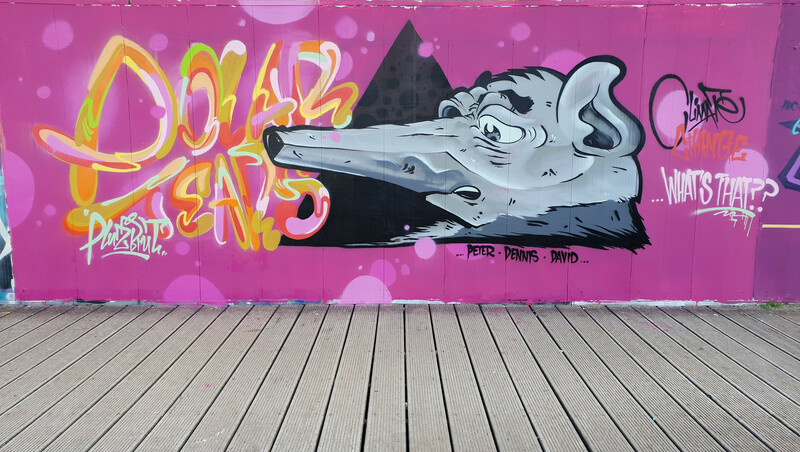 Here a worried, grey rat-esque polar bear dominates the scene whilst some colourful text prompts further thought. 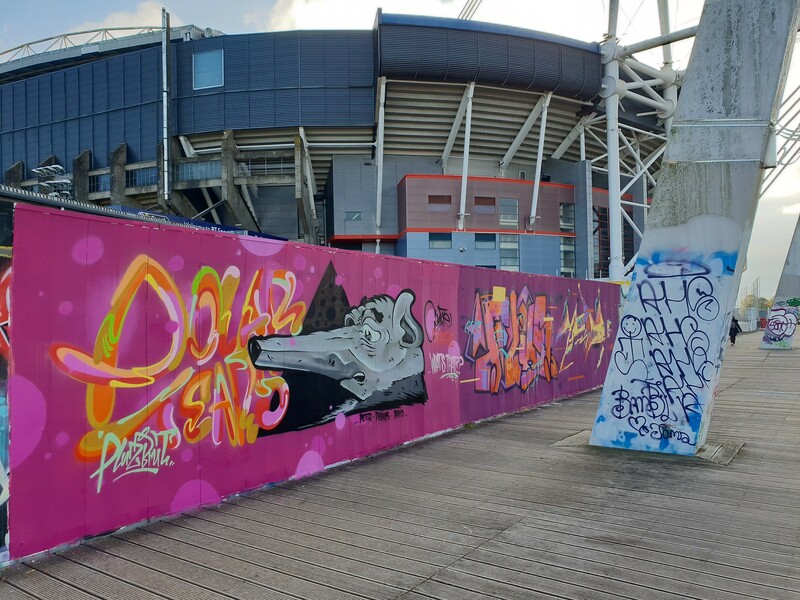 You can take your sunglasses off now as the pink has gone… well on the background at least! 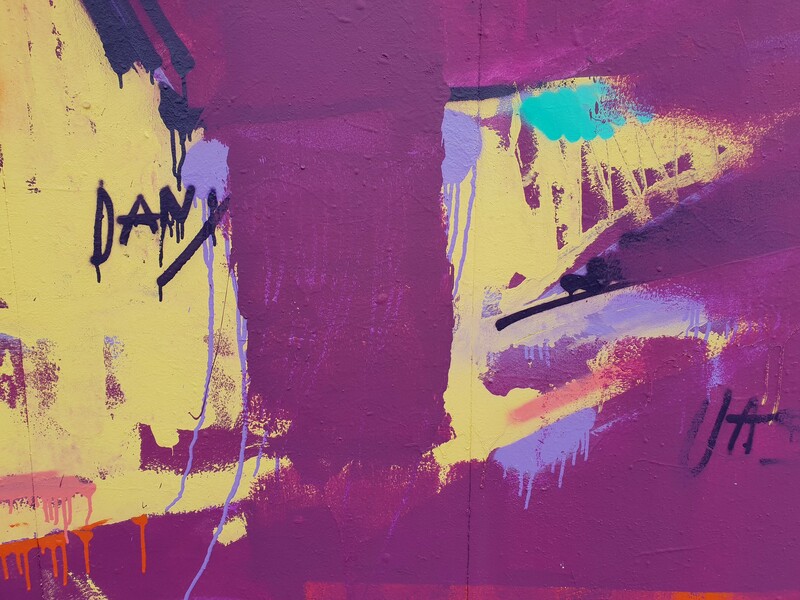 Here are more examples of the artist’s work featuring more abstract letters and paint splattering – maybe with some help or inspiration from Yah! 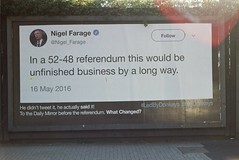 The artist may be back in Portugal now. 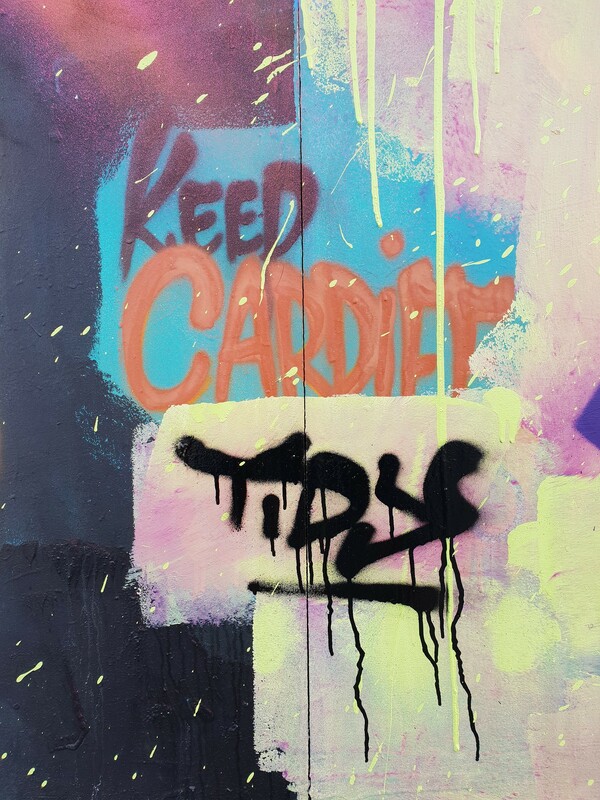 And you may be able to take the man out of Cardiff but you can’t take Cardiff out of the man – TIDY! 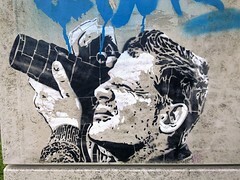 Previous Post Buoys to Men!